Learn the Lemaire lateral extra-articular tenodesis for anterolateral rotational knee instability surgical technique with step by step instructions on OrthOracle. Our e-learning platform contains high resolution images and a certified CME of the Lemaire lateral extra-articular tenodesis for anterolateral rotational knee instability surgical procedure. The Anterolateral ligament(ALL) is described as a triangular structure in the anterolateral aspect of the knee and found deep to the iliotibial tract. It measures between 34 and 59 mm in length and is approximately 2mm thick in men and 1mm in women. Its origin is near the lateral epicondyle in the femur and its insertion is located between Gerdy’s tubercle and the fibula, with an extension toward the lateral meniscus. Biomechanical studies have shown that the ALL is an important stabilizer during anterolateral tibial rotation and effects pivot shift in cases of ACL failure. The description of the anterolateral ligament (ALL) and its effect on controlling internal rotation has led to the development of ALL reconstruction. However, there is continued debate regarding the anatomy of the ALL and in particular the ideal femoral origin. This has led to some confusion over the best technique of reconstruction and consequently the generalisation of the results of the different techniques reported in the literature. Historically, multiple extra-articular procedures were developed to reduce anterolateral rotational instability (ALRI), collectively referred to as lateral extra-articular tenodesis (LET) procedures. However, concerns regarding the nonanatomic nature of LET procedures and the potential for over-constraint led to a decrease in their popularity. Biomechanical studies have also shown that the IT band does play an important role in rotational stability of the knee and the donor morbidity of these procedures is unknown. Cadaveric biomechanical studies have shown that the lateral Lemarie tenodesis in association with ACL reconstruction better restores the rotational stability to the knee compared to ACL reconstruction combined with ALL reconstruction. 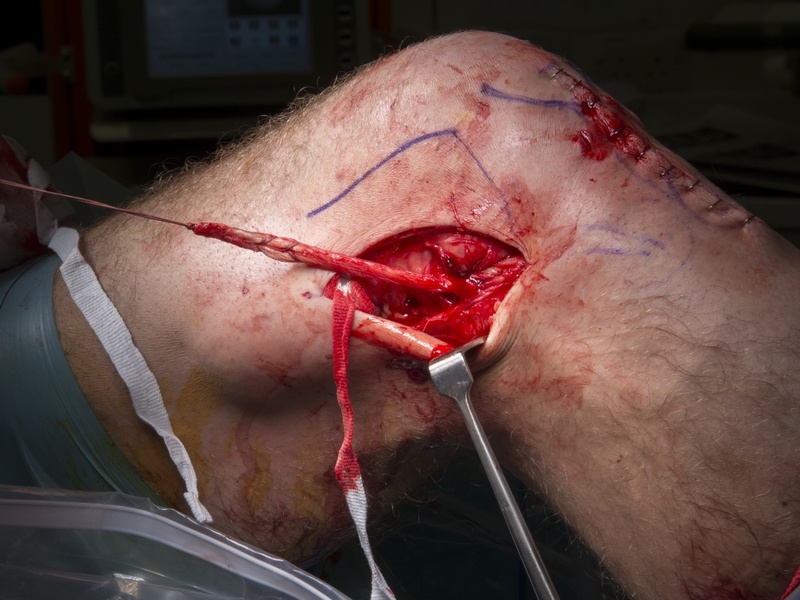 The Lemaire reconstruction is my preferred technique to address ALRI of the knee in addition to ACL reconstruction.